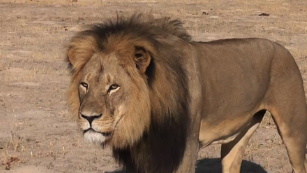 What could Cecil have done to avoid being shot? Perhaps Cecil shouldn’t have looked so threatening and angry all of the time. Maybe if Cecil had cut his mane, he would not have looked so scary. Maybe if Cecil didn’t have a lifetime of violent behavior, he would still be alive. Where were Cecil’s parents? They should have known better. Maybe the Minnesota dentist was afraid for his life and flew all the way to Zimbabwe to take care of this threat. Maybe the dentist was just Standing His Ground and his behavior can be excused and understood. Perhaps the dentist thought he was grabbing his Taser and grabbed the rifle instead – mistakes do happen in the heat of the moment. Lions kill other lions all of the time and nobody has a problem with that. I stand with the dentist – and have started a Go Fund Me account for him. Maybe the arrows and the bullets gave him superhuman strength because Cecil kept coming after the dentist even after he was shot. Maybe if Cecil had a job, he would not have even been outside. Are we even sure that the dentist is responsible, maybe Cecil did this to himself? #‎CecilsLifeMatters ‪#‎TheDentistsLifeMatters ‪#‎AllAnimalLivesMatter –so stop making it all about one lion.